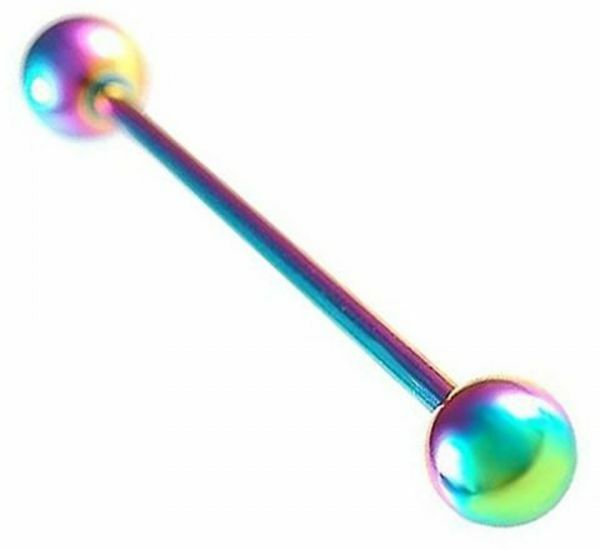 Rainbow Tongue Titanium Piercing Jewelry. Hypoallergenic (suitable for fresh piercings). Metal: Titanium 316L Surgical Steel.